How much value do you bring to the table as a freelancer? What if you could launch small, local events to help educate, build credibility and identify the perfect clients that could benefit from your services. Brennan Dunn of doubleyourfreelancing.com has a mission to help freelancers align better with the needs of their clients. In the mid-2000’s he began freelancing and scaled it into an agency of 11 employees. Brennan is now a freelance developer and helps other freelancers and side hustlers to not make the same mistakes he made early on. When Brennan first began helping freelancers, it was mostly web developers. Before long, he also had designers, marketers, copywriters, photographers, and other creatives. He’s even had the rare freelance DJ. Overall though, his business focuses on the B2B community. The goal of Brennan’s company is to help the freelancer align better with the businesses they serve and to help those businesses to grow. The main reason people go into freelancing is for the first four letters of the word itself…FREE. These folks have the idea of working on their own time, maybe from a nice coffee shop instead of a cubicle. Rather than answering to a boss, a freelancer expects to work for a group of clients that they pick and choose. There is another group of people who get into freelancing because they’ve either been laid off from their job, downsized out, or need some extra income. Maybe they didn’t get fired or laid off, but they’re just tired of “working for the man” and they want to start their own business. Some people who get started freelancing have the ultimate goal of one day owning their own business that employs others. If their desire is to build an agency or company of some kind, freelancing can be a great first step toward that goal. There are some negatives to freelancing as well, especially if you don’t have experience in owning a business. And make no mistake, freelancing is a real business. With a “real job”, you have to sell yourself to a boss, while in freelancing, you are constantly having to sell yourself to potential clients. Another con of freelancing is not understanding the necessity of having work lined up at all times. Some freelancers tend to wait until they “need” work to actually start looking for it. This causes them to accept lower pay, less than stellar clients, and builds stress into their business. If you are freelancing without a plan and a process for acquiring new work, you may find yourself falling back into full-time employment. The foundation of a freelancer’s business are the clients. Without clients, you have no business. Let’s say you have one rather large client that you know you can count on for steady work but you don’t want to only get experience in one type of work. In order to diversify your work, you have to get new clients. How do you do that? And how do you know which clients will be good for you? The first thing you need to do is get involved in local networking. And yes, we hear you. You dread the thought of schmoozing with folks while passing out your business card. Understandable. The key is to change your mindset. Don’t go to a networking event with the goal of passing out as many business cards as possible or hopefully getting a new client. Instead, go with the intent of listening. Talk to people about what they’re doing. Meet people you’ve never met. Build relationships. You won’t build your business by being some kind of networking shark; you will build your business by building relationships. Host your own networking events. Hold seminars that reach people in your industry. The events that Brennan hosted weren’t only for those who were freelancers, or even those he thought might want to hire a freelancer. He was reaching out to everyone in his industry in the hopes of showing them what types of things were available when a skilled freelancer got involved. Hiring a freelancer may not have been on their radar at all but once they saw the possibilities of growing their own businesses, they became invested in looking for someone to do the work for them. As a freelancer, if you always wait for someone to reach out to you to do some work for them, you will have trouble growing your business and you ultimately place yourself in the position of not being able to charge what you are worth but rather have to accept industry freelance market rates. In the early days of his business, Brennan attended a lot of conferences where he met people who were good at some of the same things that he was. He built those relationships with others like we mentioned earlier. When he got a referral for work, he never said no. He never turned a referral away, Instead, he looked to those people he had met and built relationships with, who were skilled at what they did. These folks wanted all the benefits of freelancing without the headache of owning the business and managing clients. Brennan actually enjoyed that part of the process, though. Once he started bringing on freelancers, he set up a 60/40 payment arrangement at $135 an hour. The freelancer got 60% and he got 40%. Brennan was managing all the clients, ensuring that payments were coming in, and seeking out new clients. And, most importantly, he had zero risk. With no employees to sit around getting paid while he looked for work for them, he had nothing to lose. Eventually, Brennan turned that remote team of contractors, who had their own projects they were working on, into an agency with full-time employees and an actual office. He does wish he had stayed with the contractor set-up longer simply because of the amount of money needed to run an actual office with employees. You’ve started freelancing, you’re getting new clients, and you’re loving the freedom of this lifestyle. There’s only one problem – you have no idea what your rates should be. The first and most important thing to remember is that you aren’t what you do. What does that mean? Simply put, just because you may code websites, you aren’t selling website coding. What you are selling is an outcome for the client. Why do they want a website redesign? Are they trying to grow their business or reach a new set of customers? How will your coding help them to reach their goals for their business? Your job is to show any potential client how you can offer the solutions to their problems and give them their desired outcomes. Once you can show them that you are a sure bet for those desired outcomes, they see you as an asset and not a cost. They aren’t gambling by agreeing to pay your rates; they are gaining what they want for their business. What sets you apart from all the other freelance website designers out there is that you offer security. Ask the right questions and really understand what it is that the client needs from the skills you have to offer. And determine to get them to that end as safely and securely as possible. 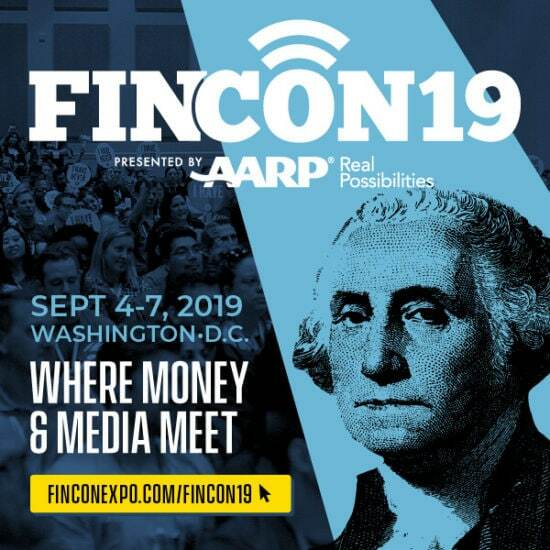 Hear from over 200 speakers, like Brennan Dunn, at FinCon18 September 26-29 in Orlando, Florida. Register for your pass today!